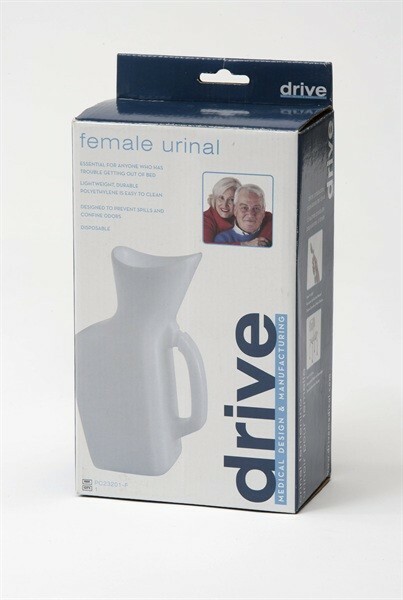 This female urinal is essential for anyone who has trouble getting out of bed and is designed to prevent spills. They have a sturdy grip for easy handling and can be used in several positions by the patient. It is lightweight, durable and easy to clean and has graduation marks to measure output. This female urinal can can hold 35 oz. (1L).